Armies guilty of terrible human rights abuses are sending their officers to learn soldiering at Sandhurst, Britain’s prestigious military training academy, it has emerged. Sandhurst Royal Military Academy has been training despots and henchmen for some of the most infamous regimes in the world, including Afghanistan, Saudi Arabia, and even Colonel Gaddafi’s Libya. The academy is so good at teaching repressive militaries, it has received £30 million ($37 million) since 2007, with Bahrain the biggest customer to date, having paid £2.24 million in ‘tuition fees’ to the British version of the United States’ prestigious West Point. Human rights group Amnesty International UK questioned whether the military academy had any checks in place to ensure its customers aren’t shooting protesters or torturing people. The Daily Mail reports about half of the 74 countries which have sent their officers to Sandhurst are said to have ‘appalling’ human rights records. 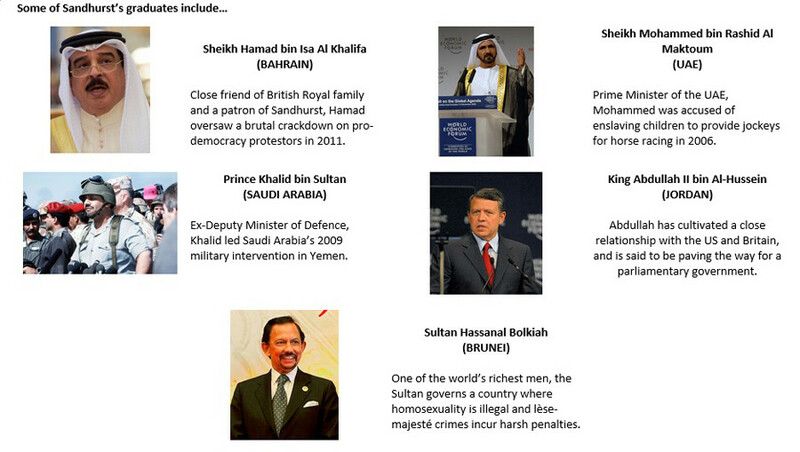 Bahrain was widely criticized for its brutal crackdown on pro-democracy protesters in 2011-12. Afghanistan is another key customer, having forked out £1.38 million for its soldiers to be trained by the UK’s leading drill sergeants. Drug abuse is said to be rampant in the Afghan Army, according to a 2012 Chicago Tribune report, while the force was said to be suffering “endemic corruption” in 2009, according to International Crisis Group. Saudi Arabia, a country which flogs apostates who criticize Islam, paid £547,000 to train its cadets at Sandhurst. The Gulf kingdom is also benefiting from UK military expertise and support as it wages a brutal war against Houthi rebels in Yemen. Human Rights Watch has called out Saudi Arabia’s “wartime atrocities” in the conflict, which has seen 3,800 civilian deaths. 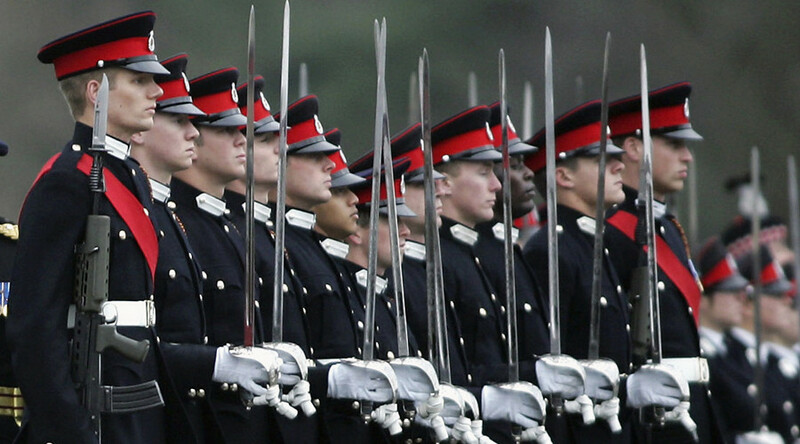 Other countries which have trained their soldiers at Sandhurst include China (which has paid £675,000 in tuition fees), Yemen (£621,000), Nigeria, (£571,000), and Sudan (£101,000). The academy even accepted cadets from Colonel Gaddafi’s Libya during a brief diplomatic thaw engineered by ex-Prime Minister Tony Blair. Liberal Democrat leader Tim Farron said: “It is deeply concerning when the countries sending the most people to Sandhurst are some of the worst human rights abusers in the world. “These are armies accused of suppressing political opposition, mistreatment of civilians and worse. We even took the shilling of Gaddafi to train troops to bolster his repressive regime. Amnesty International’s UK arms control director, Oliver Sprague, said: “Sandhurst is an international brand when it comes to military training, but there are longstanding concerns that it isn’t doing its due diligence when it invites overseas militaries through its doors.